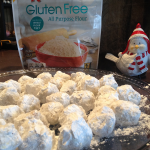 gluten-free popcorn – Get Cooking! 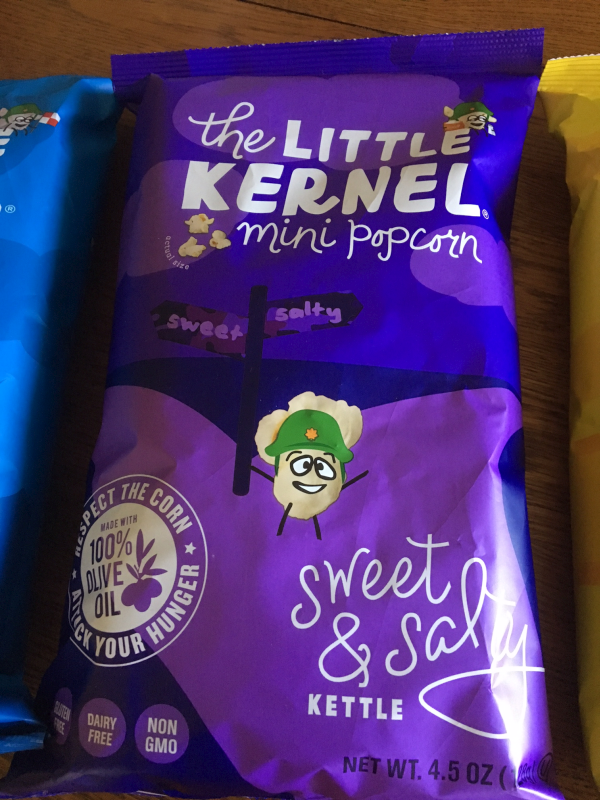 Have you seen -or heard of – The Little Kernel miniature popcorn? 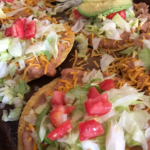 I hadn’t when I was first contacted to try it in exchange for a post on the food blog. 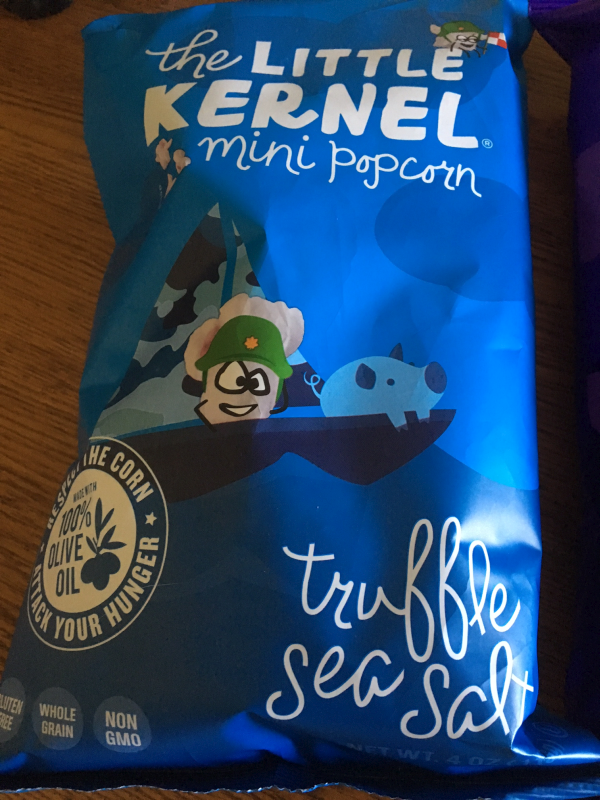 But one look at the Little Kernel guy and I was hooked. That combined with the fact that I’m BEYOND obsessed with popcorn made me downright giddy at the prospect. 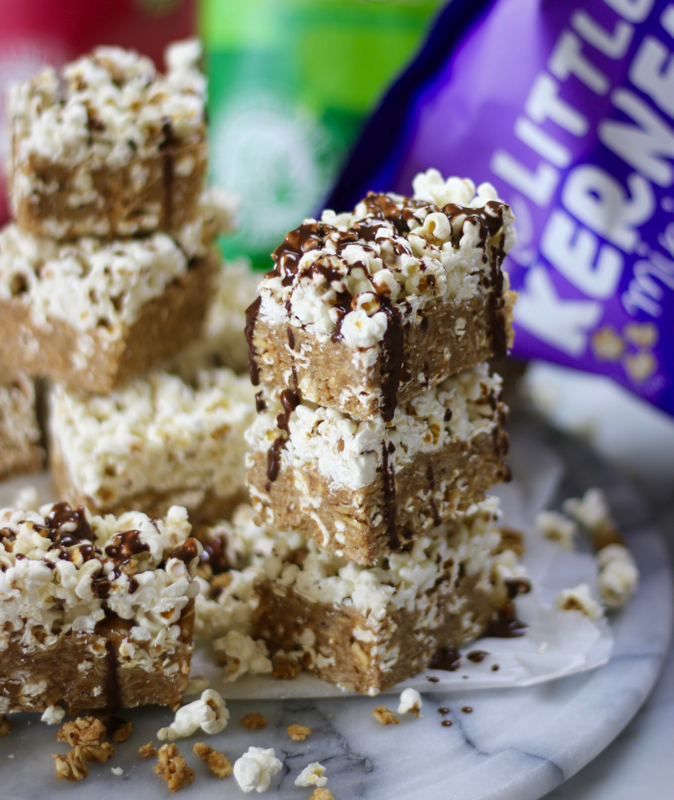 The Little Kernel is a better-for-you snack with a unique, hulless, “miniature kernel.” Popped in 100% pure olive oil, each popcorn is gluten-free, non-GMO, dairy-free, kosher and certified whole grains. My favorites were the Sweet & Salty Kettle and the Butter Flavored while my husband was wild about the Truffle Sea Salt. I have a funny relationship with Truffle salt – I like it for a few bites, then, I’m ready to move on. If you love truffle salt as much as my husband does, however, this will become your new addiction. 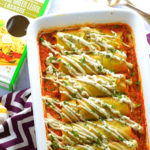 As for me and my taste buds, we’re sticking with the Sweet & Salty and Butter Flavored. I’m intrigued by the other flavors available too – especially the White Cheddar and Pink Himalayan Salt. They both sound out of this world good. The Little Kernel is on Amazon – something I love since I pretty much live on Amazon. It’s super-easy to just throw a bag or two or twelve in the cart along with whatever lovely little something caught my eye at the time. Just click the link (Amazon) and shop for the variety of Little Kernel you’re craving. 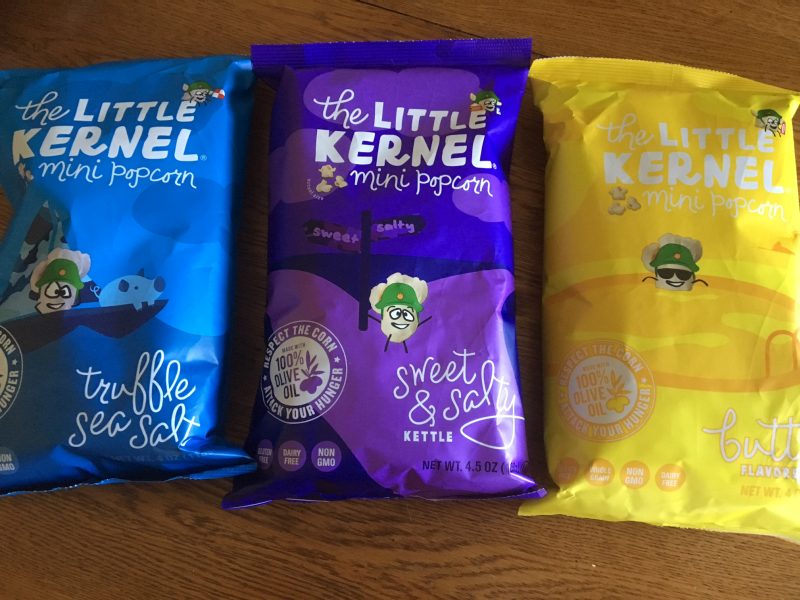 You can also order The Little Kernel Miniature popcorn from their website. 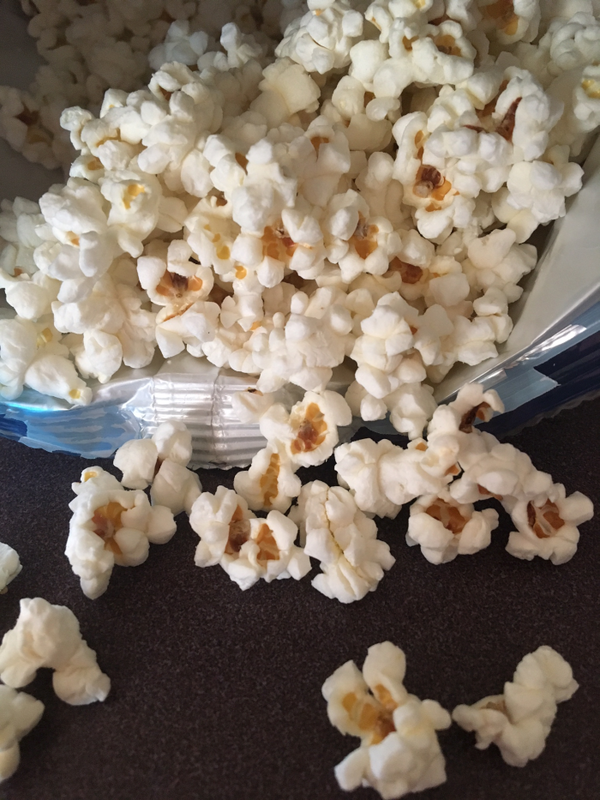 You are going to love this popcorn – it’s uncommonly delicious and just a lot of fun to eat. One of my favorites, Sweet & Salty, stars in the great recipe below from @snacksalldayeveryday. Just be sure to order plenty of The Little Kernel to use in the recipe AND for popping directly into your mouth. 1. 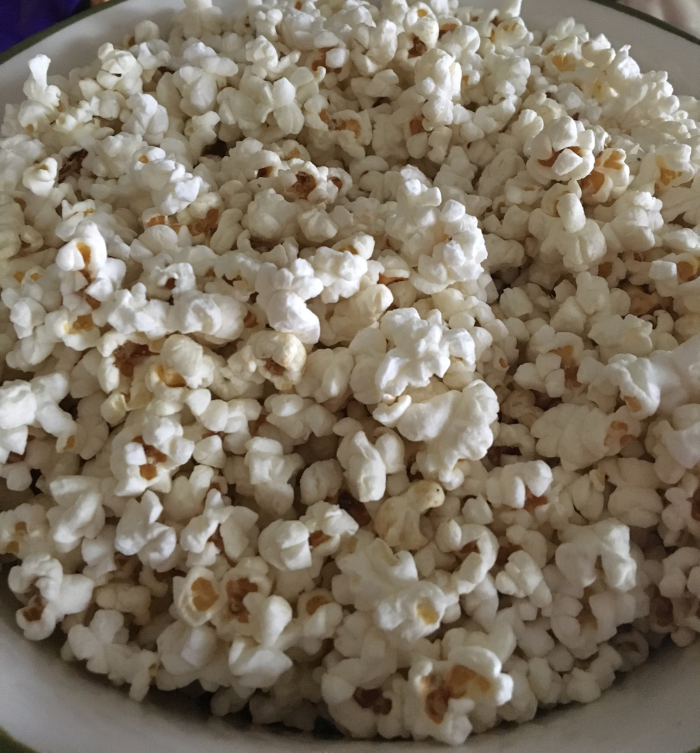 Combine all dry ingredients in one bowl (using about 1/2 cup of popcorn only). 2. 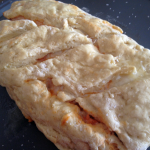 In microwave, combine peanut butter, honey, and vanilla extract and melt until smooth. 3. 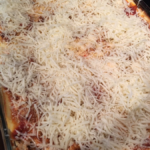 Combine this with dry ingredients and then line a dish with this mixture (tightly packed about 3/4 inch high). 4. Chill in fridge for 20 minutes. 5. Then combine remaining popcorn with honey and add this on as a second layer (tightly packed). 6. Chill for another 15 minutes or so, cut, drizzle with melted chocolate, and serve. 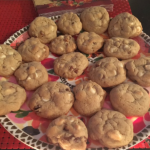 No baking necessary.